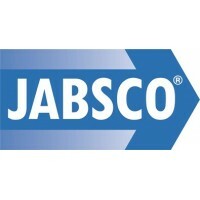 Jabsco Marine Pumps	There are 16 products. 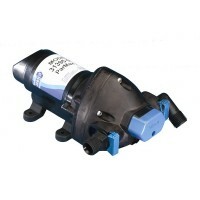 JABSCO Marine Pumps - Water Pressure, Water System, Washdown, and Magnetic Drive Pumps. *Free US Shipping! 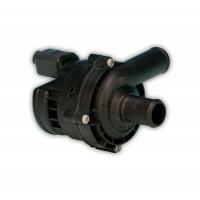 JABSCO 31395-0094 is designed for vessels requiring a quiet, smooth flow, on-demand pump. These new pumps feature a three chamber diaphragm design offering a smooth flow from .65 GPM to 2.9 GPM, & come with a built-in Pulsation Eliminator to control unwanted cycling and noise. 1/2" - 14 Male Pipe or 1/2" (13 mm) Hose Barb. Permanent Magnet, Ball Bearing Totally Enclosed. Motor rating: IP 54. JABSCO 32600-0094 is designed for self-contained boats and RV’s with multiple fixture water systems. The system operates automatically. When a fixture is opened, the pump instantly begins operation to provide a smooth constant flow from tank to faucet. Closing the faucet automatically discontinues pump operation. JABSCO 31620-0092 is designed for self-contained boats and RV’s with multiple fixture water systems. The system operates automatically. When a fixture is opened, the pump instantly begins operation to provide a smooth constant flow from tank to faucet. Closing the faucet automatically discontinues pump operation. JABSCO 31620-0094 is designed for self-contained boats and RV’s with multiple fixture water systems. The system operates automatically. When a fixture is opened, the pump instantly begins operation to provide a smooth constant flow from tank to faucet. Closing the faucet automatically discontinues pump operation. 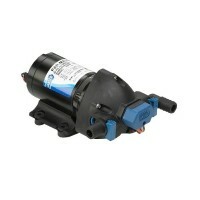 JABSCO 82400-0292- Par-Max Plus Water System Pump 12V, Up To 4.0GPM, 40psi Switch, Standard Snap-In Port Fittings. 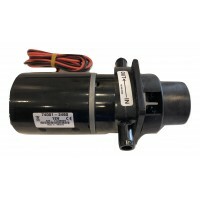 The Par-Max Plus Automatic Water System Pump is designed for self-contained boats and RV’s with multiple fixture water systems. When a fixture is opened, the pump begins operation to provide a smooth flow from tank to faucet. *Replaces JA 31630-0092. JABSCO 32605-0092- Par-Max Washdown Pump, 12Volt, 4.0GPM, 60 PSI Switch. This 4.0 GPM washdown pump provides the boater of small to medium vessels with a cost-conscious and size maximized higher pressure pump. With a sealed pump head and motor, this model provides the same ease of installation as all Jabsco water pressure pumps. Self Priming to 10 FT (3M). JABSCO 32605-0094 - Par-Max Washdown Pump, 24Volt, 4.0GPM, 60 PSI Switch. This 4.0 GPM washdown pump provides the boater of small to medium vessels with a cost-conscious and size maximized higher pressure pump. With a sealed pump head and motor, this model provides the same ease of installation as all Jabsco water pressure pumps. Self Priming to 10 FT (3M). JABSCO 32900-0092 - Par-Max Washdown Pump 12Volt 4.0GPM 60psi with 25' Coiled Hose. This 4.0 GPM washdown pump provides the boater of small to medium vessels with a cost conscious and size maximized hIgher pressure pump. 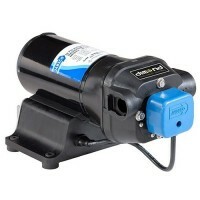 With a sealed pump head and motor this model provides the same ease of installation as all Jabsco water pressure pumps. Self Priming to 10 FT (3M). JABSCO 59510-0012- Magnetic Drive Recirculating Pump 12V. 3.3GPM at 1.74psi, 3/4" Hose Ports. Engine cooling, intercooling, fluid transfer and heat exchangers. Smooth flow. Quiet operation. Handles aggressive liquids. Max. Liquid Temperature 100 °C 212 °F. Long life brushless DC motor. New Jabsco motor and pump assembly. Part number 37041-0010. For use with 37010-series 12V marine and RV Jabsco electric toilets. Includes one new motor and pump assembly, and o-ring, four screws, and four lock washers.